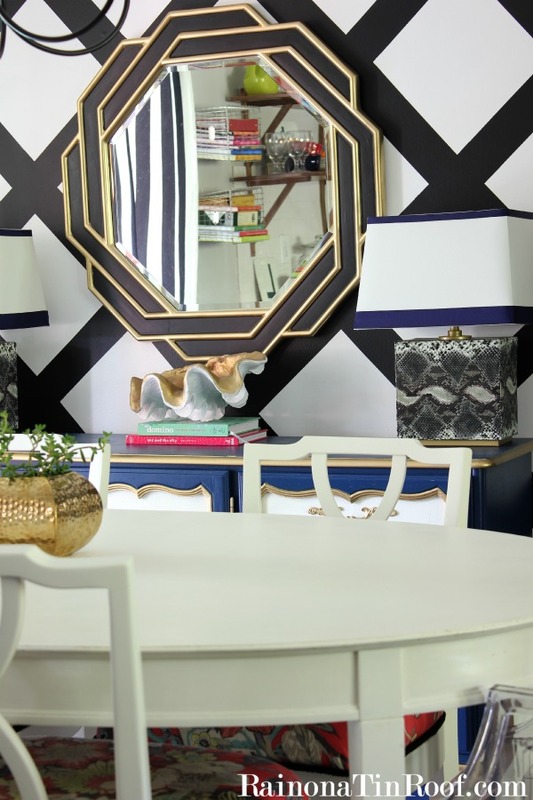 Last week I shared a name for my decorating style- Preppy Eclectic. My love of preppy home decor can be hard to define and I love that by adding “eclectic” with it- it takes away the possibiliyt of stuffiness. Many of you shared the name of your style and it was so much fun hearing about the different names you have come up with to define your style. Such as “Comfortable Farmhouse Traditional”– LOVE this because the comfortable offsets the traditional and the traditional offsets the farmhouse. Also, “Charleston Rustic” – Um, can I please come over?!?! 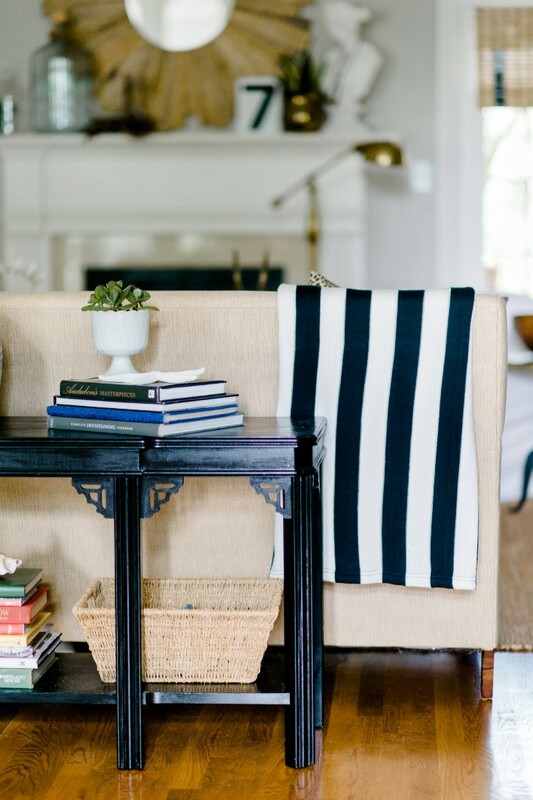 This one- “Beachy-Eclectic-Homey”– yes please! As I sit here watching the Bachelor (ahem- it’s my guilty pleasure y’all! ), I figured I would round up some beautiful rooms for you to enjoy. There are just some homes that I seriously never tire of. Homes that I repeatedly find myself drawn to and wanting more. But I finally figured out why these homes have always spoken to me. They all have the “Preppy Eclectic” vibe. Here are 7 rooms for your viewing pleasure- the links below will take you to their blogs with even more amazing pics. You are welcome. So what do think? 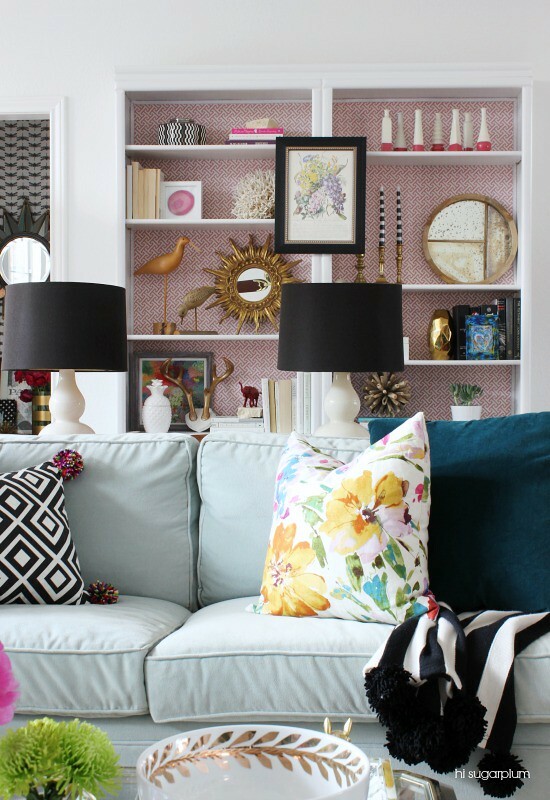 Are you a fan of preppy home decor? Do you love stripes, polka dots, florals and blue white… and like them all together in one happy room? If so- then I think you can call your style Preppy Eclectic too! Hope you have a great day! Love all of these spaces and bloggers!! Thanks for including me! The first two (and your's!) are my favorites. I especially love the mix of leather, brass, and colors…especially the rugs. There's so much going on in all of them that tie it all together…something I am definitely afraid of doing. Some day I want a room (or whole house, lets be honest!) like these… but I'll have to wait until my kids are out of the giant plastic toys and teach the little one to not though and/or break everything in site. My daughter was easy, my son is a different story. I love all these preppy rooms. I am a new follower. I don't know which one I love more 🙂 Great round-up! I enjoyed studying each of these rooms. I love the pop of blue..almost every room has it! The colors and mixed textures are so great. Each of these bloggers has a different style but really the same! Love it! oakley sunglasses for cheap cheap cried tonight Buzuibugui. Old distant cheap regret, oakley factory outlet store tears oakley sunglasses for cheap already covered his eyes. Saying outlet came to the school gate, cheap turned away, shaking his head sighing, oakley sunglasses for cheap no more want to catch up, the two arms around, smiling man oakley sunglasses for cheap walked in front of sunglasses, she http://www.rotisseriejules.com continued to put kawaii posture.